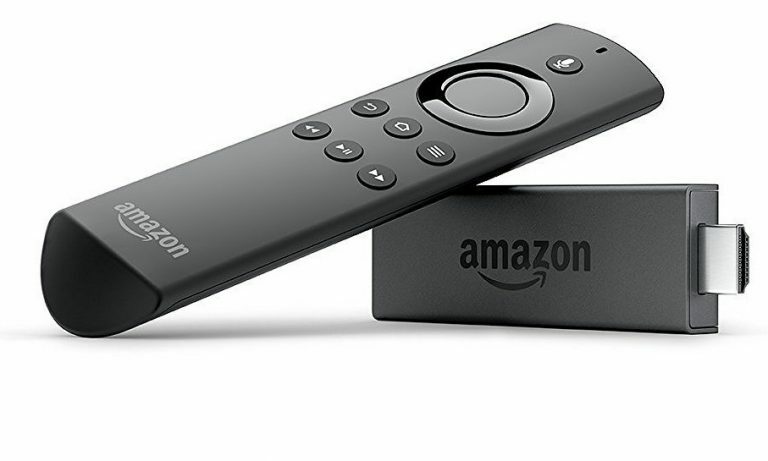 Amazon Fire TV Stick with Voice Remote was launched today in India. Fire TV Stick is the streaming media device that plugs into an HDTV for accessing movies, TV shows, apps and games. Priced at Rs. 3,999 this product is available from amazon.in and select retailers across India including Reliance Digital and Croma. Amazon Fire TV Stick offers a cinematic experience, delivering video trailers and content screenshots to help customers discover content easily. The customisable apps list on the home screen shows the best viewing options and offers apps and channels based on specific customer preferences. 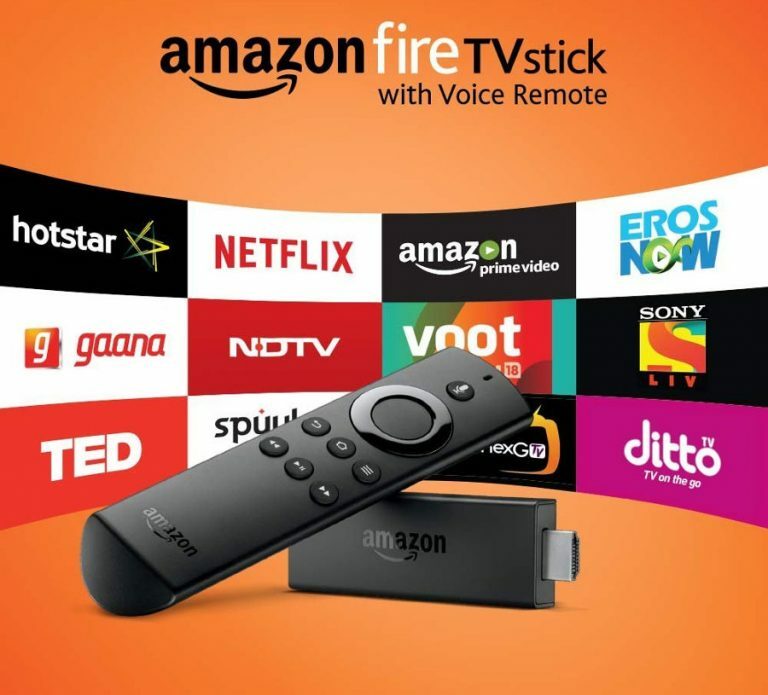 The Fire TV Stick is the only streaming media stick with a voice remote and makes it easy to search Amazon Video content using just your voice and offers spoken language support for Hindi and English. Amazon also announced the release of three new titles on Prime Video, exclusively for Prime members and available on Fire TV Stick – Baahubali: The Lost Legends – based on one of 2016’s highest grossing movies, Oscar winner Suicide Squad, and a stand-up comedy special by Kenny Sebastian. With thousands of movies and TV episodes, sports, news, music, and games, it’s easy to find great content on Fire TV Stick from Amazon Prime Video, Hotstar, Eros Now, Voot, Airtel Movies and more. As an introductory offer, customers who purchase a Fire TV Stick by May 31, 2017 and subscribe to an annual Prime membership will receive a Rs. 499 credit back to their Amazon Pay balance. Amazon Prime Video has the largest selection of latest and exclusive movies and TV shows, ad-free across Indian and Hollywood movies, US TV shows, popular Indian and international kids’ shows, award-winning Amazon Original shows and, coming soon, original Indian shows with top talent and filmmakers. Existing Amazon Prime members who purchase a new Fire TV Stick are also eligible to receive this credit for a limited time. The Fire TV Stick is plug and play and you are required to plug this into an HDTV, attach the power cable, connect to Wi-Fi, and start streaming in minutes.The Fire TV Stick is also portable, making it easy for customers to take it almost anywhere and watch all their favourite content away from home wherever an HDTV and Wi-Fi connection are available (some content not available in all countries). This Stick has data monitoring feature and customers can select their preferred viewing quality to help manage data use, and configure their Fire TV Stick to alert them before data use exceeds their preset limit. It also offers parental controls settings to help ensure a safe viewing experience for children. This Stick is powered by an ultra-fast quad-core processor and offers support for 802.11ac MIMO Wi-Fi so that customers can rely on fast, fluid performance without buffering. It also offers support for High Efficiency Video Codec (HEVC), giving customers more 1080p HD streams from their existing Internet connection.